Cheap hydraulic press, are they really worth it? When it comes to making the right choices about the machines you use in your business, choosing cheap, low quality machines and parts can be a serious mistake. While you may save money on your initial purchase, you could also end up spending a great deal more in the future for repairs or for parts or products that were ruined due to a faulty, poorly designed and manufactured machine. 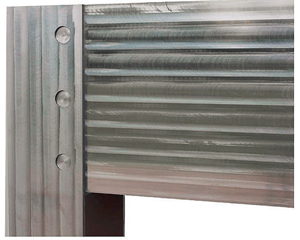 Making the choice for a cheap hydraulic press can end being an expensive choice. The construction and design of the hydraulic press you may be considering is important to think about and to learn more about before you make any purchases. When making comparisons between presses, take a close look at the frame for making sure weldments, if any, are strong. Also, making sure plate thickness is appropriate for the type of press you need and find out if the material is stress relieving as well. You certainly want to be sure the press you buy is going to be able to handle the applications you have in mind for it. The weight of a hydraulic press is another imp ortant factor to consider before you make final decisions about your purchase. Press frames are responsible for force absorption, an extremely important factor to consider. Asking about how hard it would be to locate replacement parts in the event there is a need for repairs is also a good idea. This is especially important for presses that operate using extreme high pressure. Normally, in the average industrial setting, a hydraulic press can produce between one thousand and three thousand psi. While you may be tempted to spend less on a cheaper press, think about system pressure and how well a cheaper press may be able to uphold under it. In most cases, cheaper presses give out and can be expensive to get back up and running properly. Learning whether or not there is effective guide travel for the ram on a hydraulic press is also important. Cheaper brands can become off kilter, interrupting the pressing application and slowing down production. Correct cylinder sizes and smooth slide construction are also important, especially when a press may be in daily operation. The power behind the pressing stroke is one aspect of a press you should be careful to look closely at. The speed, duration and length are important to consider about the kinds of application you will use a press for. For example, if the press you choose does not have enough power or speed to produce stroke speeds suitable for your task, you will have to make arrangements for getting that job done. This is one reason you might avoid cheaper press manufacturers and make your purchase from a company that has a reputation for building the best and most durable hydraulic presses. When you buy a cheaper hydraulic press, you risk losing more money than the cost of the most high quality press available.